Connected Retail is one of the top solutions sought after by our clients. Brands are constantly looking for ways to engage their audience online to drive sales offline. 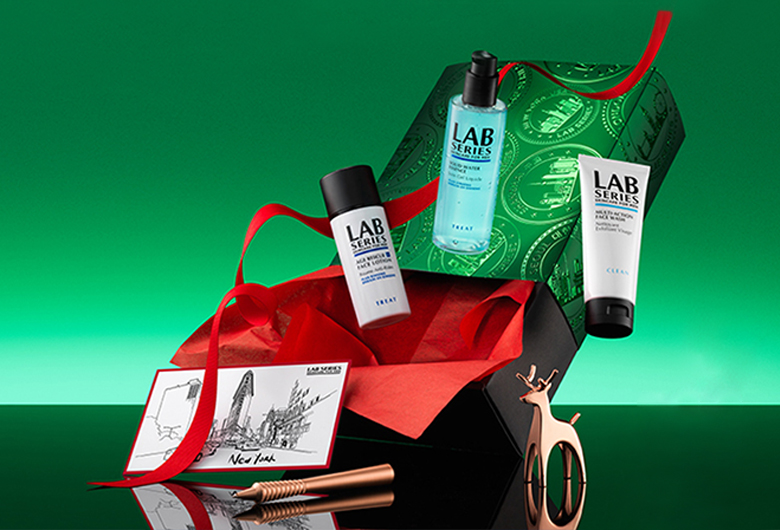 With the holiday period buzzing, Lab Series introduced its exclusive gifting bundles which were only available at its two free standing stores in Singapore. Our objective was to quadruple sales for the brand by driving an O2O campaign, such that their bundles were perceived as the perfect gift for men. Users unlocked daily deals on site to avail partner brand offers. We took an integrated approach by creating a social media driven advent calendar, wherein everyday a limited period deal was revealed on Facebook and Instagram. Social media traffic was driven to a landing page to unlock the offer. 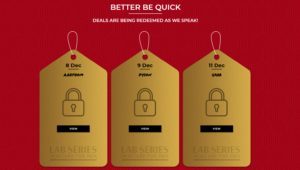 This digital campaign enabled the brand to collect data as well as create an urgency for leads to go to the store to make their purchase within 2 days of unlocking the offer. Social Media execution for communication on partner brand offers. The icing on the cake getting partner brands like Tommy Hilfiger, Dyson, Apple, etc. on board to complete the experiential Christmas gifting. It gained popularity swiftly as we were able to leverage on the audience of the partner brands as well. Sales soared in the month of November and December and achieved the highest sales revenue of the year.